Daniel Ricciardo (AUS) Renault F1 Team RS19. 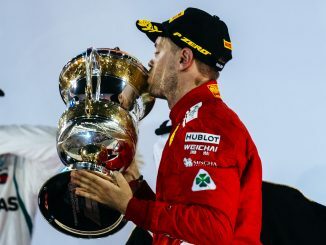 Australian Grand Prix, Saturday 16th March 2019. Albert Park, Melbourne, Australia. Renault and Toro Rosso have elected to bring an extra set of soft tyres for each driver to this year’s Bahrain Grand Prix. 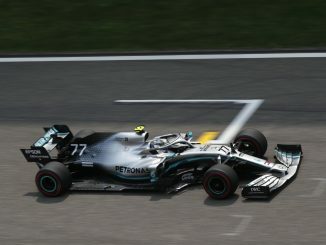 Pirelli has published the selected sets ahead of the second race of the season, revealing most drivers will have nine sets of softs available for the weekend, with only the two teams bringing more. Pierre Gasly and the Williams drivers are the only ones to have fewer sets, with Red Bull the only team to split their drivers on the softest compound. 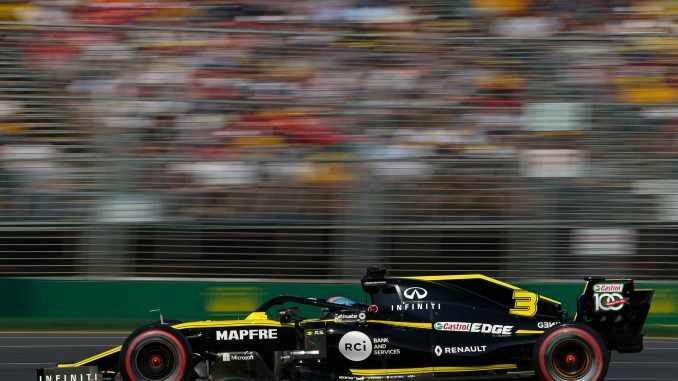 Three further teams have given their drivers different amounts of hards and mediums, with Renault, Williams and Haas splitting their strategies for the second round of the 2019 campaign. 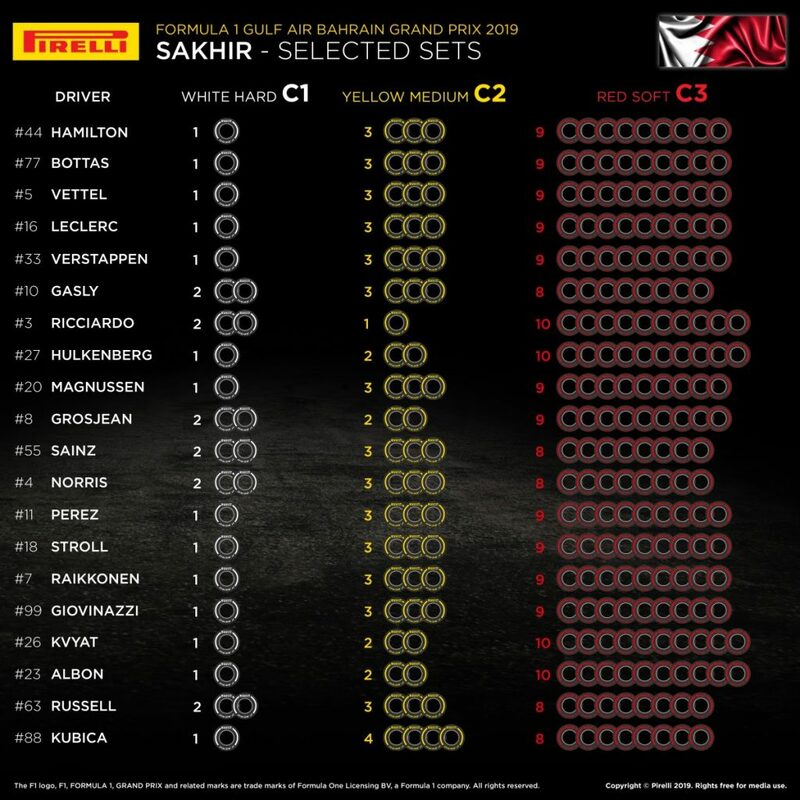 Most drivers will have three sets of the medium tyre for the Sakhir round, with Daniel Ricciardo the only driver bringing just one of the yellow-striped compound, while Robert Kubica has the most medium sets with four. 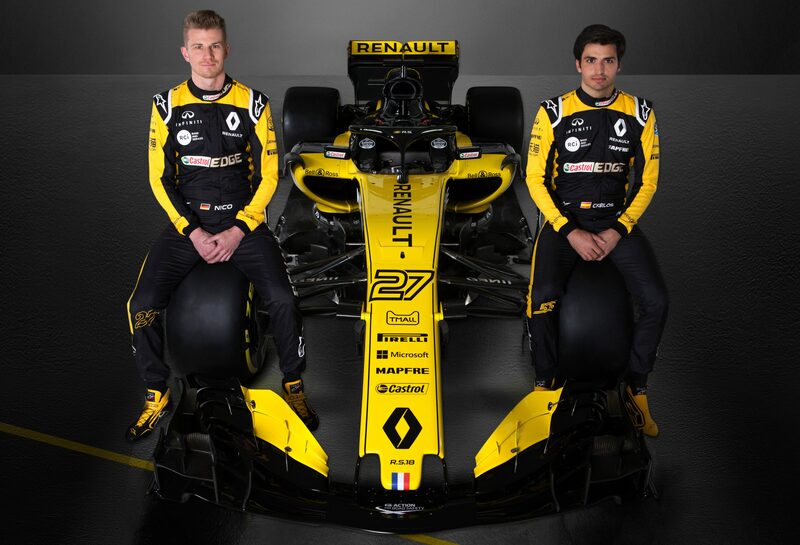 The hardest compound Pirelli have produced for 2019 will make its debut at this race, with C1 allocated as the hard tyre. C2, which was the hard tyre for the Australian Grand Prix will be the medium, while C3 is the soft compound for Bahrain. Episode 195 – Big Beard Energy?